The Cardinals have recalled rookie outfielder Lane Thomas from Memphis (AAA). As if we needed any more negative news about the Cardinals this morning. 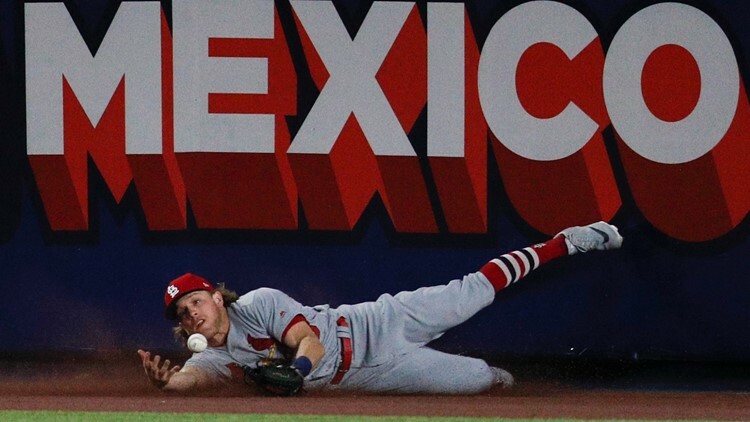 The Cardinals just announced they are placing outfielder Harrison Bader on the 10-day injured list, retroactive to April 14th. Bader is dealing with a right hamstring strain. Thomas, 23, will be making his Major League debut with his first game appearance. The right-handed hitting Thomas was batting .229 (8-for-35) with 5 RBI in 11 games at Memphis this season, collecting 10 walks to go along with a .383 on-base pct. He had made six starts in left field and five in center field for the Redbirds. The Knoxville, Tenn. native was originally drafted by the Toronto Blue Jays in the 5th round of the 2014 draft and was traded to the Cardinals on July 2, 2017 in exchange for International Cap Space. Thomas led all Cardinals minor league players in home runs (27) and RBI (88) in 2018 between Springfield (AA) and Memphis (AAA).